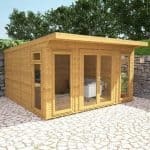 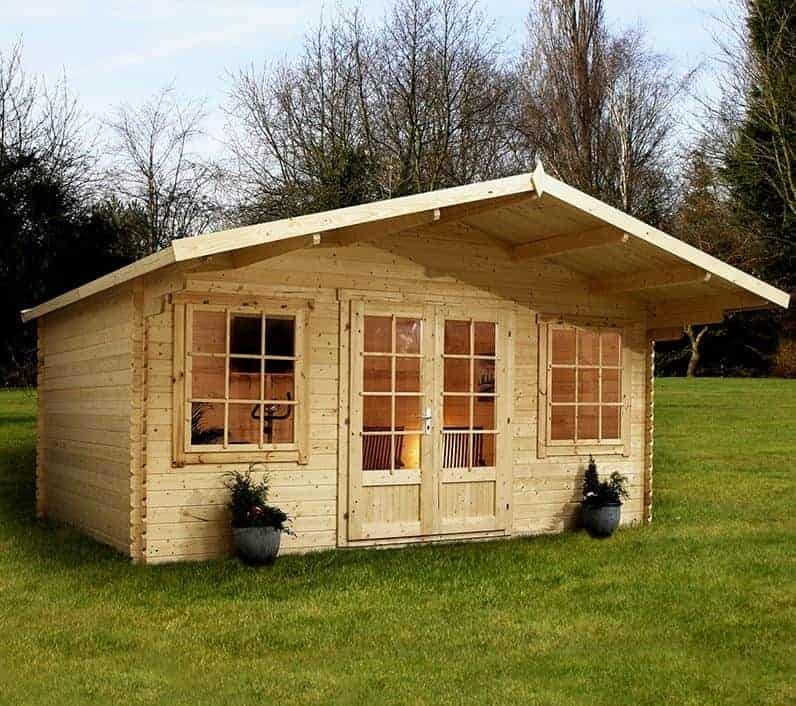 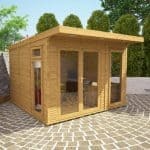 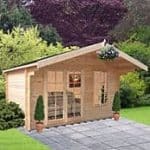 This 13 x 13 log cabin has a number of features that make it an obvious choice for anyone who needs a high quality building that they can use as a home office or similar building. 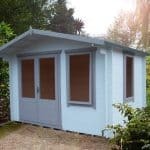 Pressure treated joists work hard to ensure that the building is resilient to damp and other issues, and the building also benefits from a sturdy part-glazed double door. 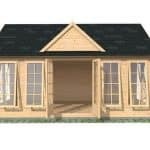 There are tongue and groove aspects throughout, so you have a building that has a strong and durable feel to it, and plenty of protection against the wet.